As we wind down on the Spring 2017 KAL with Red Heart I thought that I would share with you some of the other FREE Knit Lace Shawl Patterns available on Red Heart’s website. If you participated in the Textured Triangle Shawl KAL you learned some new things including simple lace. You can now take those skills and confidently make one of these other beautiful lace shawls. 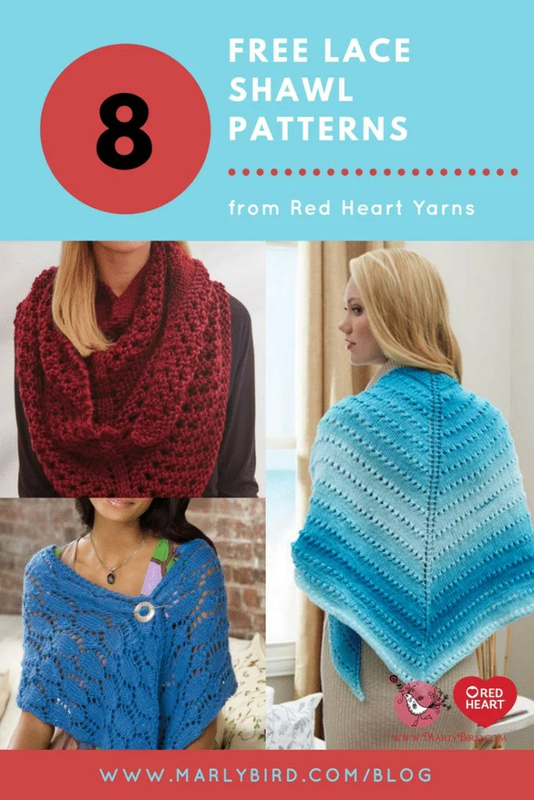 In this post I have pulled together 8 beautiful and FREE shawl patterns from Red Heart. You can take a look at each pattern below and link directly to the pattern page to download the pattern. I hope that you continue to take your lace knitting skills to the next level.